Bob Batterman (PhD, University of Michigan, 1987) is professor of philosophy. 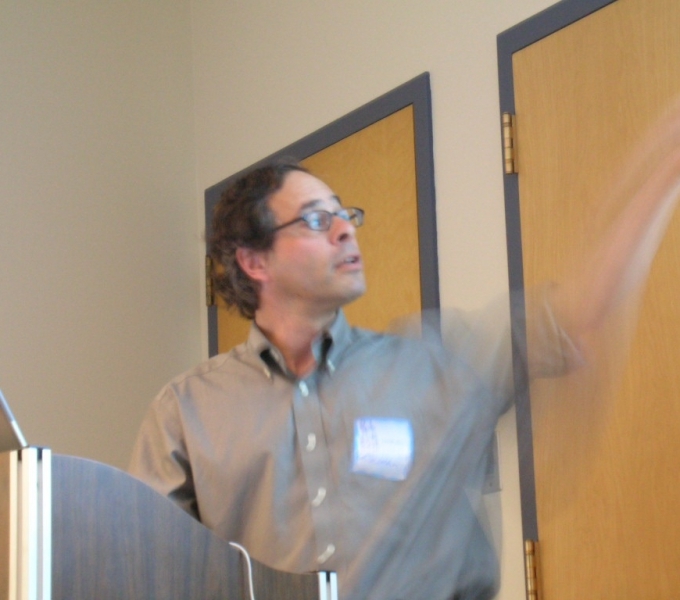 Prior to his arrival in Pittsburgh, he held the Rotman Canada Research Chair in Philosophy of Science at the University of Western Ontario (2005--2010). Before that he spent 15 years in the Department of Philosophy at Ohio State University. He is a Fellow of the Royal Society of Canada. He is the author of The Devil in the Details: Asymptotic Reasoning in Explanation, Reduction, and Emergence (Oxford, 2002). His work in philosophy of physics focuses primarily upon the area of condensed matter broadly construed. His research interests include the foundations of statistical physics, dynamical systems and chaos, asymptotic reasoning, mathematical idealizations, the philosophy of applied mathematics, explanation, reduction, and emergence. Current research examines a topic that straddles the border between philosophy of mathematics and philosophy of science. This topic concerns the role of mathematics in the formation and application of physical theories. “Emergence, Singularities, and Symmetry Breaking,” Forthcoming in Foundations of Physics, October, 2010. “On the Explanatory Role of Mathematics in Empirical Science,” The British Journal for the Philosophy of Science, 61, 2010, pp. 1--25. (doi:10.1093/bjps/axp018). “Reduction and Renormalization,” in A. Hüttemann and G. Ernst, eds. Time, Chance, and Reduction: Philosophical Aspects of Statistical Mechanics, Cambridge University Press, 2010, pp. 159--179. “Idealization and Modeling,” Synthese, 169, 2009, pp. 427-446. “On the Specialness of Special Functions (The Nonrandom Effusions of the Divine Mathematician),” The British Journal for the Philosophy of Science, vol. 58, No. 5, 2006, pp. 263-286. “Critical Phenomena and Breaking Drops: Infinite Idealizations in Physics,” Studies in History and Philosophy of Modern Physics, Vol. 36, No. 2, 2005, pp. 225-244. “Falling Cats, Parallel Parking, and Polarized Light,” Studies in History and Philosophy of Modern Physics, Vol 34B, No. 4, 2003, pp. 527-557. “Asymptotics and the Role of Minimal Models,” The British Journal for the Philosophy of Science, Vol. 53, No. 1, 2002, pp. 21-38. “A 'Modern' (= Victorian?) Attitude Towards Scientific Understanding,” The Monist, Vol. 83, No. 2, 2000, pp. 228-257. “Multiple Realizability and Universality,” The British Journal for the Philosophy of Science, Vol. 51, 2000, pp. 115-145. “Why Equilibrium Statistical Mechanics Works: Universality and the Renormalization Group,” Philosophy of Science, Vol. 65, No. 2, 1998, 183-208. “Game Theoretic Explanations and the Evolution of Justice,” with Justin D'Arms and Krzysztof Gorny, Philosophy of Science, Vol. 65, No. 1, 1998, pp. 76-102.